Ever since I was a little girl, I loved looking at photos. I can remember dumping the bag of photos my mom kept in the hallway cabinet onto the floor and rummaging through them. So many photos of us, of my parents growing up, extended families, family trips and oh, so many photos of my sister and I dressed as twins – even though we’re a year and a half apart! I grew up being the family photographer, taking all the photos at family events, I wanted to capture the joy and the memories we were making. As I got them developed, unlike my mother’s system, I was diligent about putting them into albums so that they were organized. 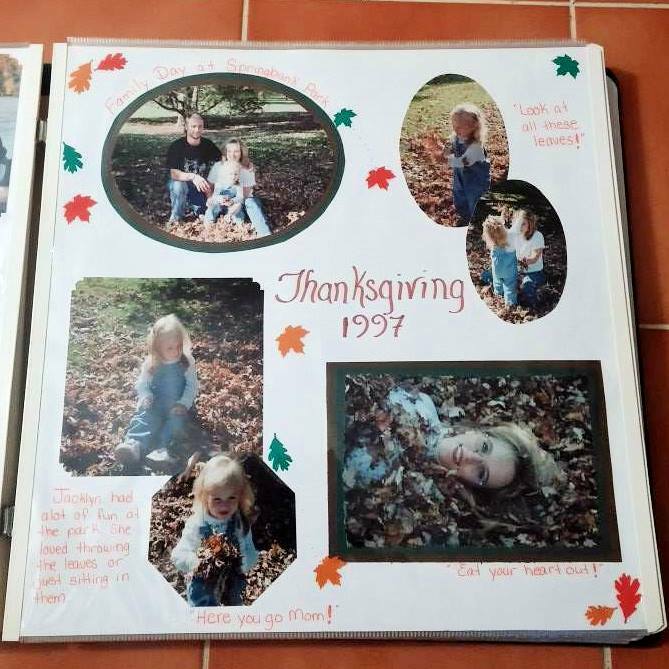 Then, shortly after my daughter’s second birthday (20 years ago) I found scrapbooking! Even though my photos were organized, what I was missing all those years were the stories that went with the photos, although I did have fun making stories up from all those photos I found in that hallway cabinet. As a creative soul, I found scrapbooking to be a wonderful pastime to preserve my photos and stories, socialize, make new friends, and celebrate all those precious memories I had captured. 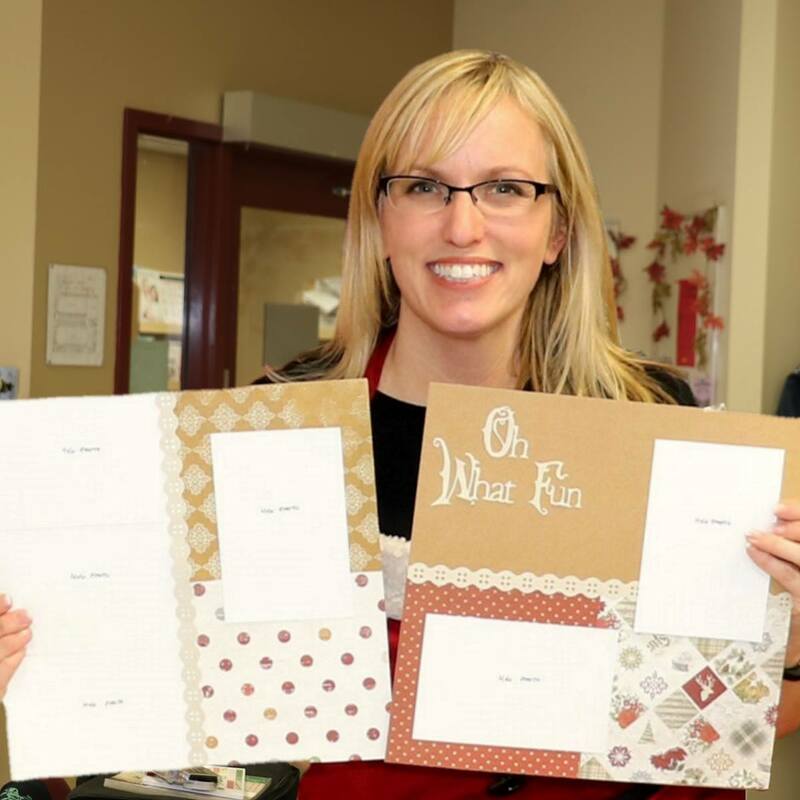 It wasn’t long after I found this new love of scrapbooking, I found I was helping others do the same! Soon we had a group of ladies from all walks of life joining us! We shared stories, triumphs, milestones, tragedies, births, deaths, breakups, graduations, birthdays and oh, so much more. We became friends. Good friends. But how could something as simple as printing photos and put them into albums, bring so many people, from such different backgrounds, together? Why do we find it to be an important part of our lives? Here are some of my reasons, maybe they are for you too? *It reminds me how much I have to be thankful for. *It is a great creative outlet, I can create a page anyway I want, there are no rules! *Having a terrible memory, scrapbooking gives me away to remember. *It gives me such a great sense of accomplishment with every completed page or album! *It has made me a better photographer, capturing the little things if life too. *It takes me back in time, to happy times.It provides an opportunity to socialize. Scrapbooking is my “me time”, where I can relax, be creative, reminisce, share the stories of those I love, it brings me joy, it’s my therapy! How about you? Live in the London, ON area and want to join us for a Crop Day or Retreat? Click here to join the event mailing list. My favourite paper scrapbooking products can be found here. My favourite digital scrapbooking, organizing and storage products can be found here.